Kata laboured alongside her father on the farm, her hard-earned knowledge going unused yet again. She had all the requirements she needed to run her own business and even had a piece of land to start a beauty salon, but she laboured on the farm instead. The pain of her past and the shock of the present happenings in her life weighed on her. She had no peace and worried about her fatherless daughter. Kata married as a young woman, but life wasn't happy. Kata's husband got drunk every day and found fault with everything she did. He lived his life in pursuit of his own happiness and gave little financial help to his wife and daughter. Due to his alcohol addiction, he died a young man. Kata became one of the 75 million women living in Asia who bear the title many people see as a curse: widow. Kata and her 4-year-old daughter faced life alone. Kata's in-laws did not help provide for her and their granddaughter, so within one year, Kata moved back into her parents' home. She was one of the blessed few widows in Asia to have the love of her family accept her back into their home—as most widows experience social discrimination, even from loved ones. Kata (not pictured) became one of the 75 million widows in Asia after her husband died. She, like the woman pictured, suffered incredible grief when she became a widow. Kata enrolled her daughter in a school, and they settled into their new home. Though she struggled through life before, Kata felt her existence become even more hopeless as she contemplated her future as a widowed woman. Kata, even though she carried her concerns to her traditional deities through prayer, had no inner joy to counteract the worries of being a single mom. To add to the tumult inside, life took another devastating turn when her mother passed away unexpectedly. To ease her stress, Kata took special training classes to one day open her own beauty salon, all while helping her father work on the farm. At the end of her training, Kata felt confident to start her own business, but one obstacle stood in her way: She had no way of providing for a building. Her family owned some land, but she didn't have the money to build a proper place for her salon. Kata lived in this place of helplessness and continual unrest until, one day, she found out there was someone who cared about her—and the future of her daughter—even more than she did. GFA-supported pastor Niket met Kata one day, and through their conversation, he shared about Jesus and the love He has for the whole world—especially widows. Hearing this good news, Kata opened up to the pastor and shared her sorrows with him. She also told him about her need for a building to open her own business. Pastor Niket prayed for Kata and left her that day with the beauty of God's unconditional love to think about. But Pastor Niket not only prayed for Kata, he also held a gift distribution at his church and gave Kata a gift to help her start her business: tin sheets. When Kata received seven tin sheets, she was so happy and grateful. 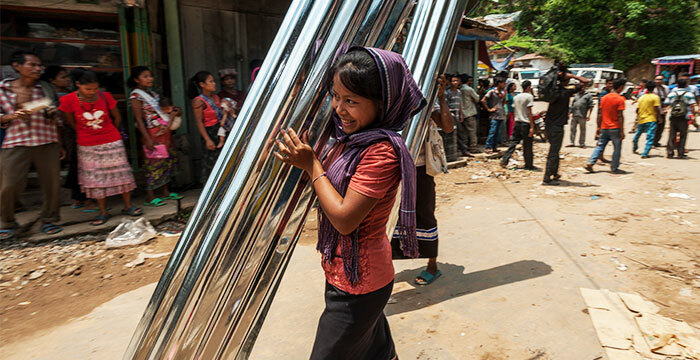 With the help of her older brother and the tin sheets, Kata constructed a building for her salon and started her business. The Lord greatly blessed her business. She was able to send her daughter to a good school and even started another business for ladies accessories alongside her beauty salon. As she understood the love of Jesus, she opened her heart to Him. 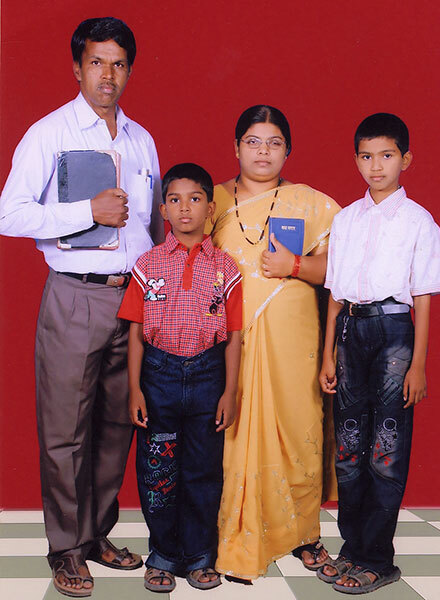 Pastor Niket and his family minister to those in need in their community. Pastor Niket was able to speak life and joy into Kata's troubled life. Kata saw the work of the Lord in her life and started to faithfully attend church. As she understood the love of Jesus, she opened her heart to Him. Kata's older brother also came to know Jesus after seeing the work of God in his sister's life. Today, Kata is walking with Jesus as she works in her salon. She is no longer burdened with bearing the name of widow or plagued with worries. Instead, she is able to face life with confidence through Jesus. As a single mom, she knows her daughter has the loving care of the Heavenly Father and can always carry her needs to the Lord. By God's grace, like this woman pictured, Kata was given tin sheets to help provide for her needs through a GFA-supported gift distribution. GFA is honoured to help widowed women like Kata get up on their feet. It is the heart of God to look after the poor and fatherless, and we take the charge in James 1:27 seriously. The sad reality remains true every day that many widows in Asia are frequently pushed away from their families and communities. They are often accused of being the very cause of their husband's death. You can be part of looking after the widows and telling them they are cherished through supporting our Widows Ministry. This fund enables pastors and national missionaries to care for widows' needs, much like Pastor Niket was able to do for Kata. 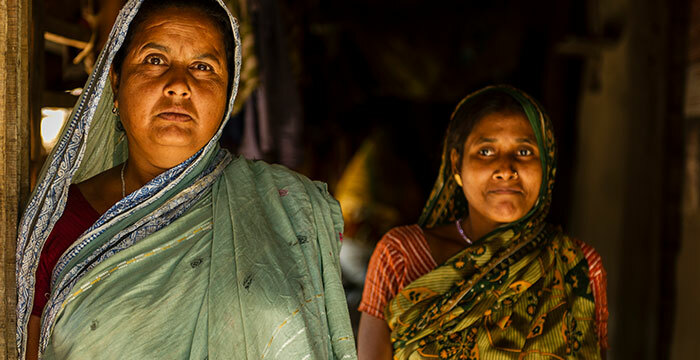 You can help meet the needs of the widows in Asia through prayer and financial support today! Would you be willing to partner with us in helping these precious women? God loves them so dearly, and their lives matter to the Lord. Give to Widow's Ministry today and bless a woman who may have never realized before how deeply she is loved by God.